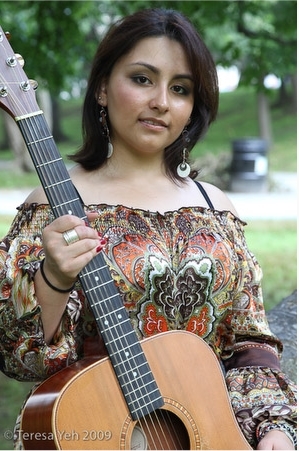 Paubla Catalina Reyes is a board certified Music Therapist and a singer-song writer who completed her BA degree in Music Therapy with a minor in Psychology at the prestigious Berklee College of Music. Catalina has more than 5 years of experience working as a Music Therapist and as a Music Educator providing services to a wide range of populations starting from newborn infants to the elderly in hospice care. Catalina’s principal instrument is voice, and is proficient in guitar, piano, ukulele, and hand percussion. Catalina has developed and implemented curriculum for music fundamental classes and Keyboard classes for different programs such as Hope University and Wonder tree Kids in Los Angeles California. Catalina is known for her person centered approach and passion to impact her student’s and clients’ lives through music. Catalina was born in Bogota Colombia, she had the opportunity, to work in West Palm Beach Florida, Boston Massachusetts, Los Angeles California, Anaheim California and also had the opportunity to participate in international Music Therapy service trips to Guadalajara Mexico and Thailand. Catalina recently moved to the Orlando area and currently works part time for the Orlando house of Prayer as an intercessory missionary, she also owns her Music therapy private practice, ‘’Seven Sounds Music Therapy” and most recently joined the OPMI family as a music instructor.